We have wanted to visit the Minneapolis Museum of Art for a long time and we finally had the chance last Friday (we were on our way to visit Father Columba Stewart who is doing amazing work at the Hill Museum and Manuscript Library digitally preserving endangered manuscripts — but we’ll save that for another blog post). Though we only had an hour or two, it was great to see paintings that have long been favorites like Egon Schiele’s Portrait of Paris von Gutersloh (1918) and Millais’s Peace Concluded (1856). There were also wonderful surprises like this Snake Jug (c. 1865) depicting a scene from the Civil War with “Union soldiers attempting to catch Jefferson Davis, president of the Confederacy, who flees them disguised as a woman. The dark spots on the snakes’ heads identify them as copperheads—a moniker for Northerners sympathetic to the Confederate cause.” We had never seen anything like it! We were also struck by the gorgeous painting by Morisot, The Artist’s Daughter, Julie, and her Nanny (1884). We are very much looking forward to returning. 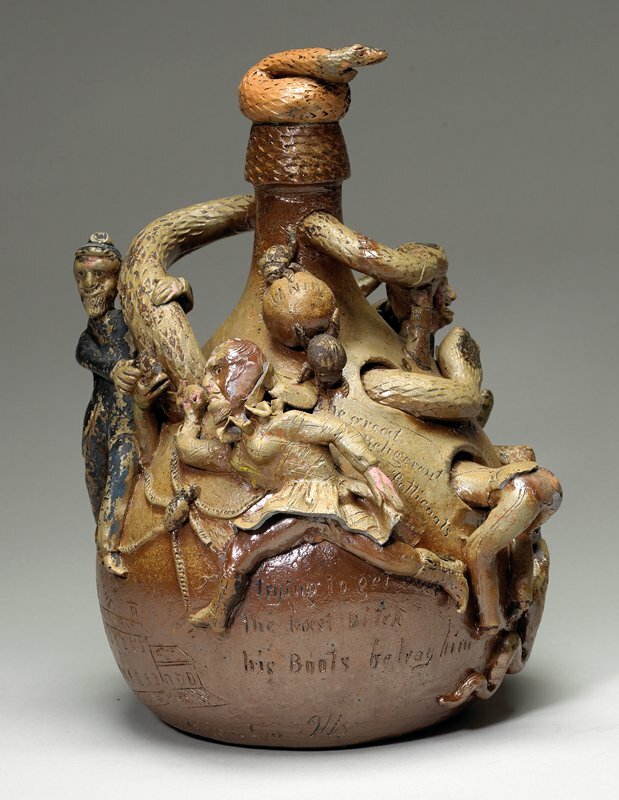 We sent a tweet while strolling through the galleries about the Snake Jug, and were directed to MIA’s Artstories feature to learn more. 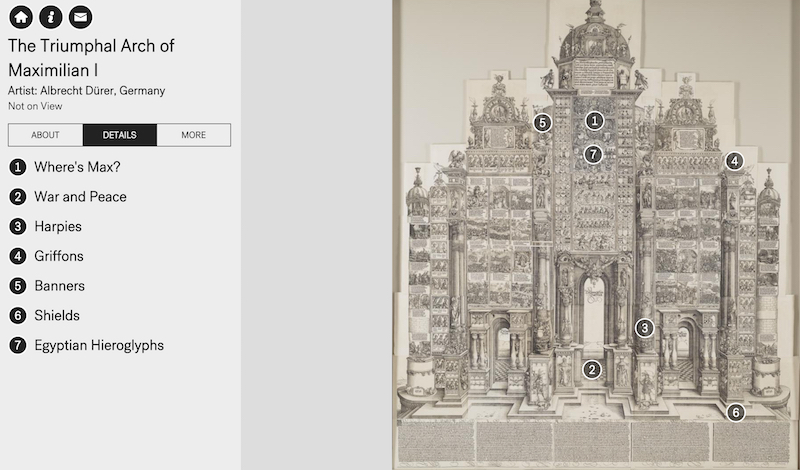 Our favorite feature is an interactive that guides viewers through details of a work of art—this works especially well for complex images like Albrecht Dürer’s Triumphal Arch of Maximilian I.
MIA’s website is beautiful and easy to use – with a clear “download” button (which we especially appreciate). We have just one request MIA—could you offer higher resolution images for downloading? How wonderful that you were in “my” neck of the woods! (I teach art history at the Minneapolis College of Art and Design, right next door to Mia.) Quick note about images: many images of works at Mia are available via ArtStor. Also, the permissions dept. sometimes (always?) offers scholars high-res images for publication at no charge. Let me know next time you’ll be in town–I use your wonderful videos so often in class, it would fantastic to meet you! And I am also co-coordinator of a local group of art historians, Art Historians of the Twin Cities. Safe travels!